Global house producer Hector Couto launched Roush Label in 2013 with one main focus in mind: “to offer something different, not based on trends”. The underground house music label is based in Tenerife, Spain, which is located in the Canary Islands (directly West of Morocco). Roush label concentrates on the balance between established acts and emerging talent to release an entirely unique and underground sound. Couto’s vision has brought the label great success. Over 171 artists have released music and charted on Roush including, Hector Couto, Russ Yallop, Arado, Jay Lumen, Santé, DJ Rolando, Darius Syrossian, and many others. Lets explore the sounds being launched from Spain. Make sure you pick up this power hour of tech house for free download from Russ Yallop. 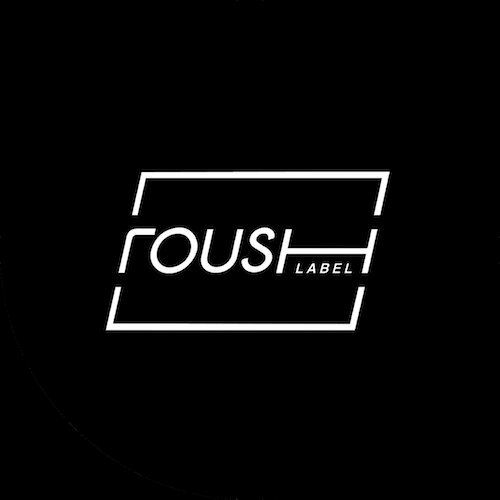 Attention tech house lovers, keep your ears on the Spain based Roush Label. Roush welcomes Santa Cruz Spain’s Alex Wellmann and Jay de Lys from Buenas Aires this August as the pair combine to deliver ‘Guettin’, accompanied by a remix from Italian talent Atove. Honestly, this is the single track that drew us the label. Couto has been making waves in the dance music scene for the past seven years with his seamless fusion of Chicago house and old school techno. Based in Tenerife, Spain, Hector is well known for his keen production and alluring global sound. Hector even appeared on Resident Advisor’s Top 100 Most Charted artists. Vicious Music Awards also nominated Hector as one of best house artists in 2015. He has also dropped countless tracks and EP’s on Hot Creations, 20/20 Vision, Get Physical, Moon Harbour & Defected, and his own label Roush. Couto’s latest EP was released via Elrow Music entitled Seduction. However Hector also dropped Tambora a few months prior to Seduction on Roush. No matter the release, Hector Couto is guaranteed to bring the vibe. Another newly signed Roush artist is Russ Yallop. Yallop leaped right in to the scene with his debut single “I Can’t Wait” which dropped on in 2010. The eclectic beat-maker can pretty much mold multiple layers and genres of house all in to one. Yallop’s recent EP, All Night, perfectly showcases his cutting-edge and assorted style. The title-track delivers a steady low-end beat that remains consistent throughout the entire song. “All Night” laces bouncy grooves and skippy breaks, making the track jump. “Run Hard” is the second song from the EP and has a completely different flair. This song takes us back to the old school deep tech days. It’s layered with a melodic bassline, hints of acid, and echoic soulful vocals. Roush label is proud to present this energetic release. It’s easy to hear Russ Yallop’s matchless production skills. Arado’s Break Even EP can easily kick-start any tech house party with its sheer momentum and pulsating bass. Break Even will keep you on your toes as it bounces between low frequencies and heavy percussion. Arado mixes different elements of breakbeat and house, which makes this record undoubtedly full of life. Loco Dice’s Desolat label signed one of Arado’s earlier releases entitled: “Uganda Express”, back in 2010. The song instantly put Arado on the map and took his career to international status. Since then, Arado has rocked acclaimed parties worldwide including Cocoon and Watergate (Germany), Tenax (Italy), Café D’Anvers (Belgium), WMC (Miami), and the infamous Space (Ibiza). Arado’s groove-centric rhythms and energetic pulses are certain to light up any deep & tech house dance floor.